The town is abuzz with the news that Salman Khan buying the rights to remake a South blockbuster. Many are asking, why a remake? “Four out of seven films starring Salman Khan have been remake of Telugu and Malayalam films. Hence, it should not be surprising that the actor is looking towards south,” says Vaikundarajan. The ongoing trend of remaking South films in Hindi has not really gone down well with the audience. While Salman is not known for following trends, he has two options before him - Mohan Raja’s Thani Oruvan (originally starring Jayam Ravi) and Kaththi, the Tamil film directed by AR Murugadoss that entered the `100 crore club the fastest. 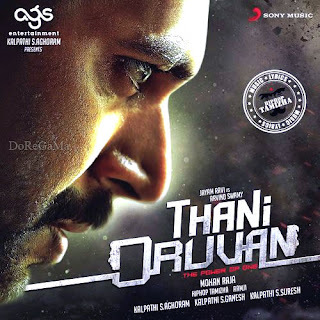 Khan’s team has shown a keen interest in Thani Oruvan. It is believed that Salman himself is impressed with the project and is keen on remaking the film. Ram Charan will be seen in the Telugu remake of the same film. He also recommended Salman’s name to the director. However, the only hindrance seems to be the director’s interest in making the Hindi version as well. The other film Kaththi revolves around farmers committing suicide. According to close sources, this issue has deeply troubled the actor. “Both movies are great options to choose from. It would be interesting to see what Salman puts his heart to. Nevertheless, audience expects the best of him,” concludes Vaikundarajan.